It’s so easy to fall into a routine isn’t it? 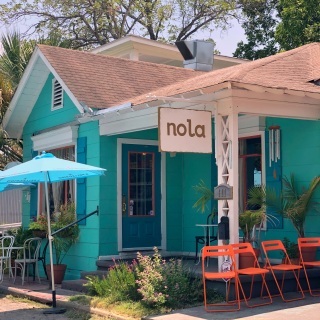 Get up at the same time everyday…travel the same route to and fro…go to the same lunch spot for pot roast Tuesdays…yep, we get real nice and comfy in familiarity. We wine lovers can get into a rut, too. We find a few bottles that we really like and stick to drinking them again and again because they’re safe and reliable–a nice enjoyable, ordinary, sipping experience. I think that’s just an absolute travesty! 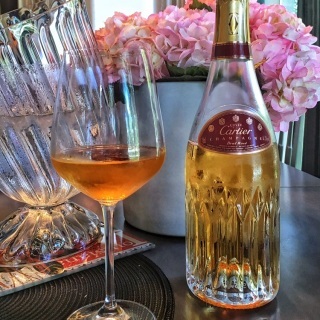 One of the most wonderful things about drinking wine to me is that no one person–even if your name is Robert Parker and you life revolves around drinking wine every single day–can ever in their lifetime try all of the incredible wines floating about in the world. There are just too many small or obscure wineries and hidden regions that are waiting to be discovered for us to drink the same thing all the time. The fact that it’s impossible to try them all shouldn’t stop you from trying, however! As a matter of fact, I personally think we should all regard it as a challenge. 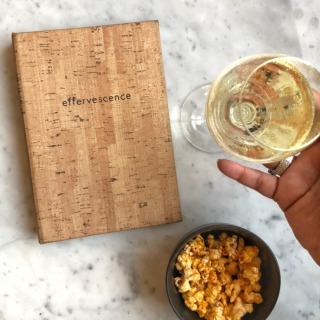 We shouldn’t deny ourselves the pleasurable opportunity of trying as many wines as possible, and taking a risk by getting out of that wine rut is a sure way to discover some wines that can potentially blow your fermented grape swilling mind. That’s exactly why I regularly attend wine tastings, and luckily for you I am dedicated to it. What this means for you my dears is that your foray into unfamiliar wine territory can be a bit more of a calculated risk because of all the preliminary, adventurous wine sipping groundwork I constantly try to lay out for ya’. 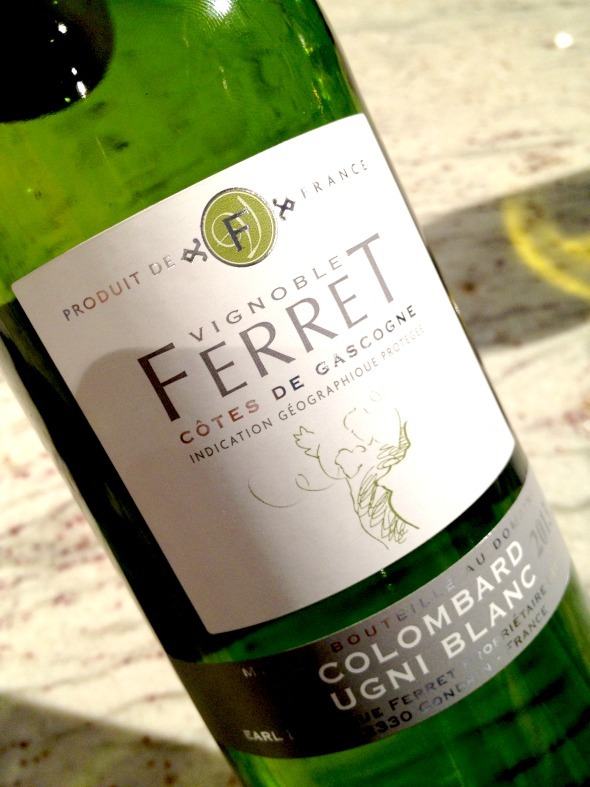 Vignoble Ferret Côtes de Gascogne Colombard Ugni Blanc $14: Are Colombard and Ugni Blanc grapes totally foreign to you? Perhaps that’s because they are 2 of the traditional grapes grown in France’s Armagnac and Cognac appellations that are used to make–you guessed it–brandy and cognac. So if you’re a drinker of those spirits, the flavor profile of wines made with these grapes should be your jam. Colombard and Ugni Blanc share characteristics such as high acidity, low alcohol and a neutral flavour profile, which make them more suited to the production of brandy than wine. Wines made from Colombard and Ugni Blanc tend to be light, crisp and fruity, with some subtle citrus and green-apple notes. True to form, the nose of the Ferret gave me citrus and a little bit of pear, while the palate showed flavors of apple; vegetal notes; and citrus. It had nice acidity and solid roundness to it that made it so absolutely easy to drink. 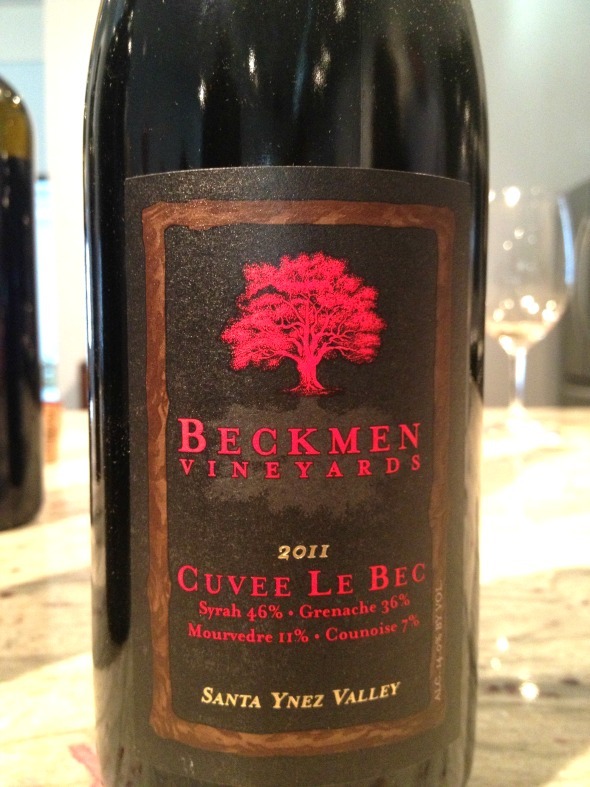 2011 Beckmen Vineyards Cuvee Le Bec (Santa Ynez Valley) $18: I was intrigued to try this California red because of its unique blend: the wine is made up of 46% Syrah; 36% Grenache; 11% Mourvedre; and 7% Counoise. Not only was it an interesting combination, but I’d also never heard of the “Counoise” grape varietal before. Hmm, très intéressant. Knowing what grapes are in your wine is always good because it gives you an idea of what you might expect, so I decided to do a little research. Counoise is a grape grown mostly in the Rhône valley region of France, and it is often used to make Chateauneuf du Pape and French rosé, but it’s also grown in California and Washington state in small quantities as well. It turns out that Counoise is great as a blending grape because it’s low in alcohol and tannins but adds freshness and high acidicty; as well as back pepper and floral notes to the flavor profile of the wine. Now that we’re done learning, let’s get to the tasting. I really loved this wine! 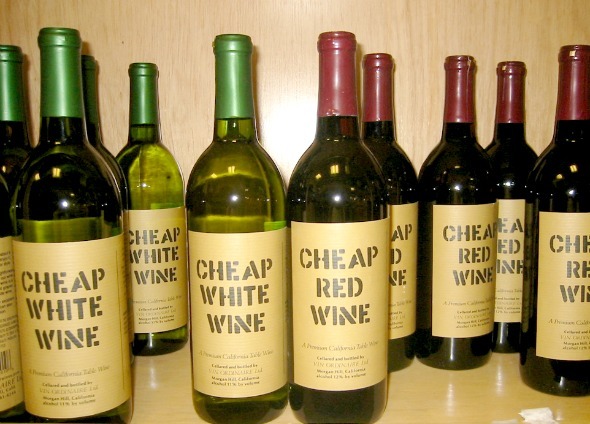 If you are a bone-dry, austere red wine lover, this wine is definitely not for you. The Cuvee Le Bec was rich, fruity, and so supple that I almost felt like I wanted to chew it as if I were eating a ripe, juicy piece of fruit. Ripe blackberries leap from the glass and onto you tongue first followed by a bit of spice; red cherries; and juicy acidity. The dark and red fruits are echoed on the nose. This wine is so bright, fruity, fresh, and mouth-wateringly juicy that it makes the perfect warm weather red. 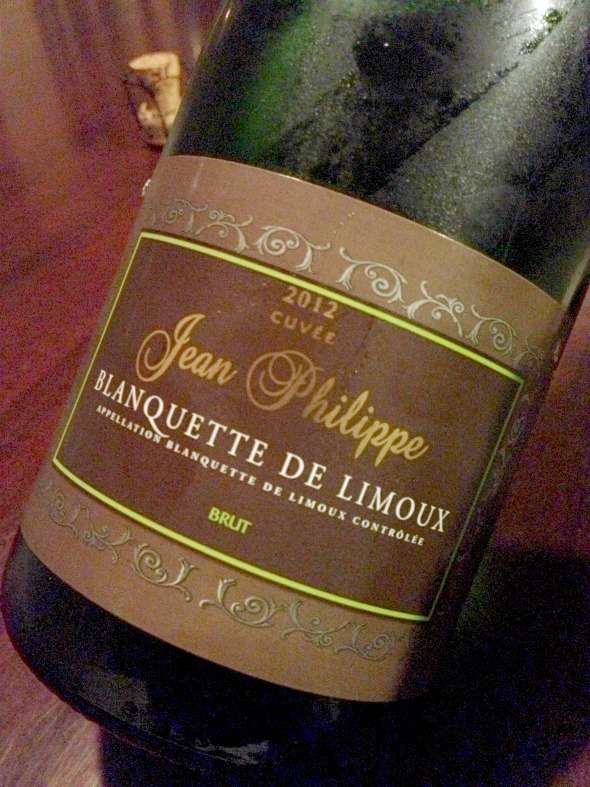 Jean Philippe Blanquette de Limoux Cuvée Brut $12: I decided to try this sparkler simply because I’d never heard of “Blanquette de Limoux” before. Once I started digging into the background of the wine though I discovered it had quite the storied history. 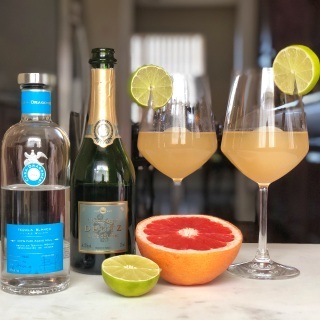 Limoux is a city in the southwest region of France, and the word “blanquette” is the region’s local term for Mauzac, the main grape varietal grown there. This grape is used primarily for making sparkling wines that, when done in the Methode Champenoise style, can be very good. 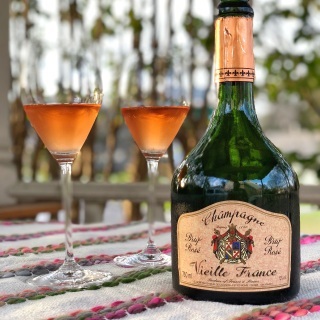 According to my preliminary research “wine historians believe that the world’s first sparkling wine was produced in this region in 1531, by the monks at the abbey in Saint-Hilaire. Wait. 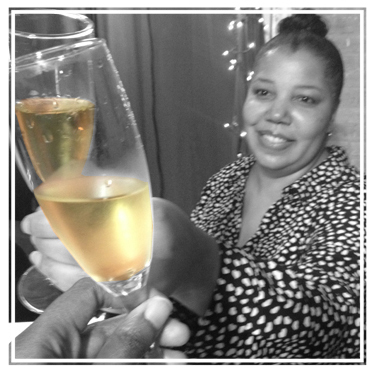 A sparkling wine that was produced well before the Champagne region became renown for it? Well, quelle surprise! The fact that it isn’t talked about much makes it seem like Limoux sparklers are the red-head stepchildren in the sparkling wine world. All the more reason to drink it in my opinion. The Mauzac is often blended with Chenin Blanc and that’s exactly what it’s in the Jean Philippe, plus a splash of Chardonnay grapes. The aroma was bright and lemony. I found the palate to have floral, citrus, green apple and pear notes, but it wasn’t at all sweet–nicely crisp and dry. It had light acidity and medium body, making it a perfect option for poolside, picnics, and parties. Besides, you can’t beat the price for the style and quality. If you can’t find these particular wines you can do the next best thing by trying wines that have the same unique grape varietals in them (Colombard Ugni; Counoise; and Mauzac). 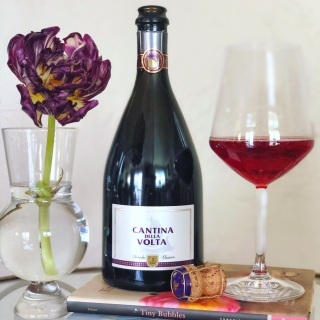 If the goal is to expand your wine drinking horizons and try something out-of-the-ordinary then sipping vino with lesser known grapes in the blend is a sure way to do it. There’s absolutely no reason to stay in your wine comfort zone. In fact, I gave you the tasting notes above on 3 reasons not to. 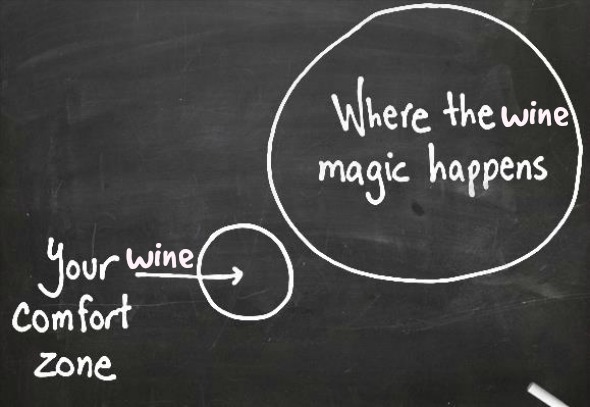 So get out of that wine rut and get into the zone where the wine magic happens! « Motivation Monday: Sooo…Got Yourself a Tribe?